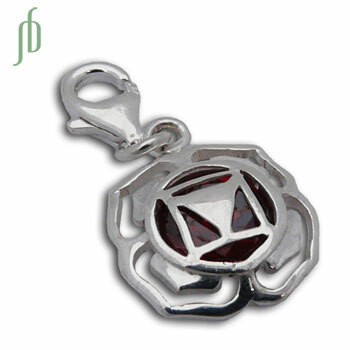 Root Chakra Charms with garnet colored cubic zirconia stone. The muladhara chakra charm has a spring clasp so you can put it on a bracelet, necklace or anklet. This design is available in two sizes. This is the small size 1.2 cm. 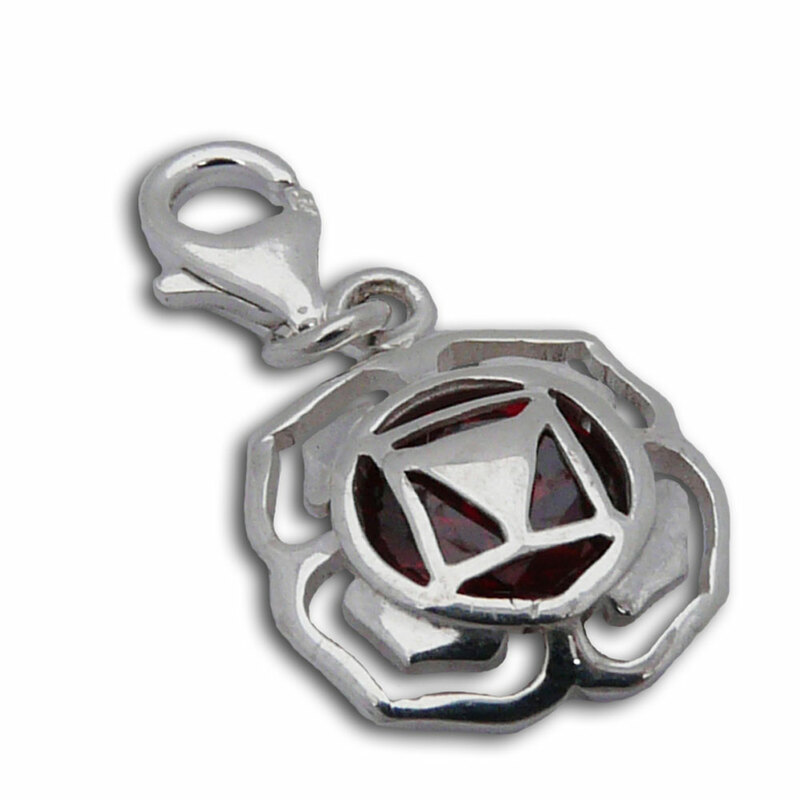 Root Chakra charm bead with faceted garnet colored cubic zirconia stone. The root chakra, or muladhara chakra, is for patience, stability and strength. The opening of the bead is about 4.5 mm and it has a rubber stopper (can be removed). Patience. Stability. Strength. Sterling silver Root Chakra Earrings (muladhara earrings) garnet-colored red cubic zirconia.